UEFA’s decision on Euro 2012! The final in Kiev, equal division of cities – more info. 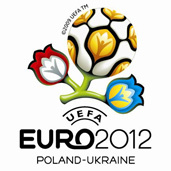 Euro 2012: UEFA’s decision! The final in Kiev, equal division of cities. UEFA left us the right to organize Euro 2012 – emphasize the Saturday Ukrainian newspapers after the session of the Executive Committee of the European Football Association that took place in Bordeaux. They decided that Poland and Ukraine would host the event. “There really were reasons to worry about. Practically, during the whole past year the preparations for Euro 2012 have not gone ahead: great plans stopped on the paper only….